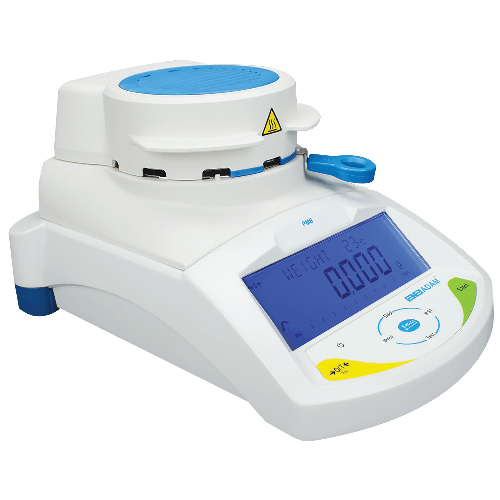 Moisture Analyzers are used to determine moisture content by progressively drying a sample via a heating lamp as it is weighed. Used in many industries from food processing to manufacturing. 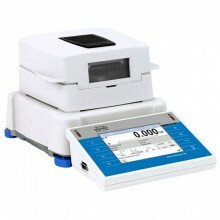 With simple operation and rapid response time, PMB moisture analyzers offer the top value in their class. 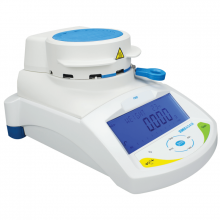 The automatic test-setting function enables easy recall for frequent testing of the same items without additional user programming. USB and RS-232 interfaces provide computer and printer connections to store test programs and results. No additional software is needed to take readings, giving users total freedom to collect data on a production floor or in the field. A single 400-watt halogen bulb heats samples in 1 °C selectable increments. 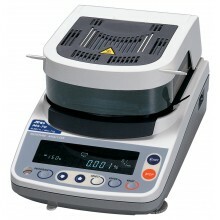 Three heating options give users the flexibility to customize test methods and temperatures for different materials. Customization of instrument’s settings is possible thanks to extended user profiles. The balance level is monitored by LevelSENSING system, RADWAG patented solution, which uses a system of an electronic level. Standard and user defined printouts allow for maintaining documentation complying with GLP/GMP requirements practically in any organization. PM.X2.A maximum capacity ranges from 50g/0.1mg to 210g/0.1mg. 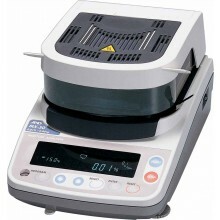 Moisture content is measured with the 0.01% accuracy (0.001 % for samples bigger than 1.5g). 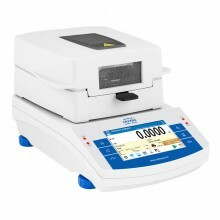 The maximum drying temperature is 160˚C (there is an optional moisture analyzer with 250˚C maximum temperature). 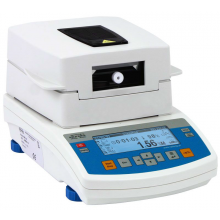 An additional element for moisture analyzers that improves their functionality is a water vapour permeability determination set used in tanning industry for determining hygienic properties of leather.